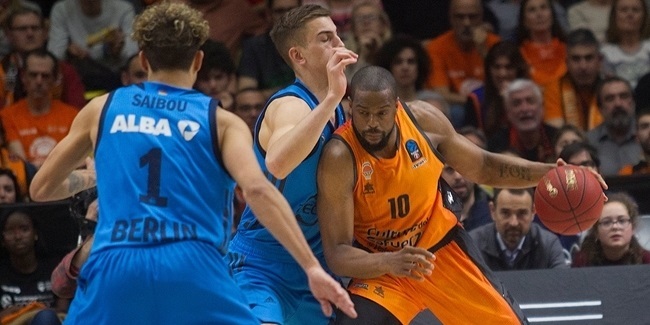 The Eurocup started the second phase of the season with the opening week of the Last 32, 16 battles across the continent to start paving the road for the elimination rounds. When the dust settled, one of the hottest players this season, Quino Colom of Unics Kazan, emerged with the first weekly MVP honors for 2016 thanks to his index rating perfoemance of 41, the best overall this week. Colom led his team with 25 points, 5 rebounds, 12 assists 1 steal and 8 drawn fouls for his second weekly accolade this season. 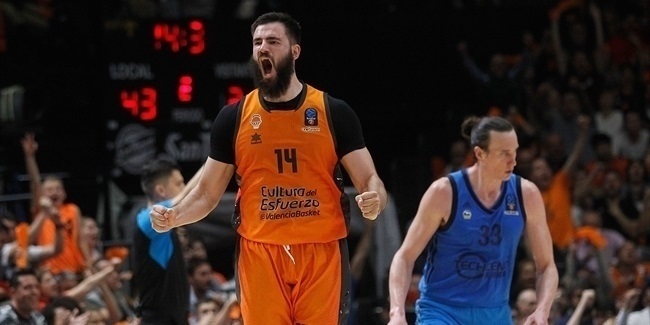 It was also Colom's best career performance in the Eurocup. Travis Peterson of Avtodor Saratov followed in this week's top performances thanks to his index rating performance of 39 to help his team take the first Last 32 win. Peterson netted 29 points and pulled 14 rebounds for the mark. The top individual performances of the week were completed with Michael Green of Umana Reyer Venice and his 38, Donta Smith of Hapoel Bank Yahav Jerusalem and his 32 and Bracey Wright of Pinar Karsiyaka Izmir with his 31. Three players led the scoring ranks this week with 29 points each: Green, Peterson and Smith. Peterson was also at the top of the rebounds rankings with his 14 boards, completing a great week for him. 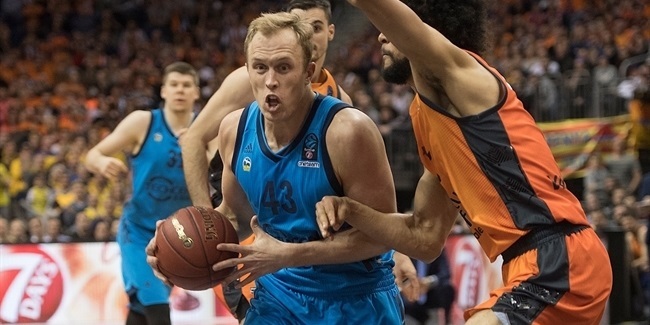 Nemanja Aleksandrov of EWE Baskets Oldenburg came in a close second with 13 rebounds. There was no contest in the assists department this week, as Colom was the opnly player dishing in double digits with his 12 decisive passes. Brian Qvale of EWE Baskets Oldenburg topped the steals category with his 4, while also in defense, three players collected 3 blocs apiece: Viacheslav Kravtsov of CAI Zaragoza, Rasid Mahalbasic of Nizhny Novgorod and Qvale.